At first their bodily members were dislocated on the rack, they were whipped and then driven out of the city where an executioner speared them in the throat and then beheaded them. According to tradition, their martyrdom took place outside the city walls, at the site of the current no. 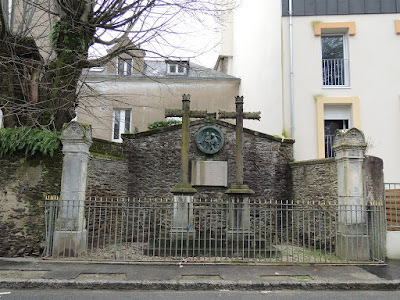 63 rue Dufour on the old road from Paris, near the Eugene-Livet High School and not far from the basilica dedicated to them. They were buried by Saint Similien. The family property, a Gallo-Roman villa, also home to the first Christian church built in Nantes, stood on the site of the current Basilica of Saint-Donatien-et-Saint-Rogatien. According to tradition, the church was built at the location of their graves, which was in their home, as was customary. Tradition also says their bodies were placed, 21 years after their death, in a gray marble sarcophagus, measuring 2.25 meters long and 75 centimeters wide. The relics then attracted pilgrims, requiring the creation of a "guard of honor" consisting of the monks of Saint Martin. The parish was then considered by Nantais as a "holy land". The first church was built in 490. Excavations in 1873 brought to light an ancient pagan cemetery, a pit in the center of the apse containing 27 nails assigned to the coffins of the two martyrs, and reveal that four church buildings were successively below the basilica. They are commemorated throughout the Loire Valley, as far as Orleans, where their relics were displaced at the time of the Norman invasions, and then deposited in the ninth or tenth century in their namesake basilica in a reliquary of gold. In 1145 Bishop Albert of Ostia transferred their relics to the Cathedral of Ostia. These relics were scattered during the French Revolution, a wooden shrine replacing the previous reliquary. Today a small portion of their relics survive. 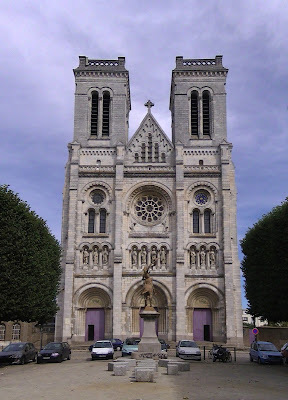 Both have statues on either side of the main portal in the narthex of the Cathedral Saint-Pierre and Saint-Paul de Nantes. There is also a painting in the cathedral by Théophile Vauchelet. 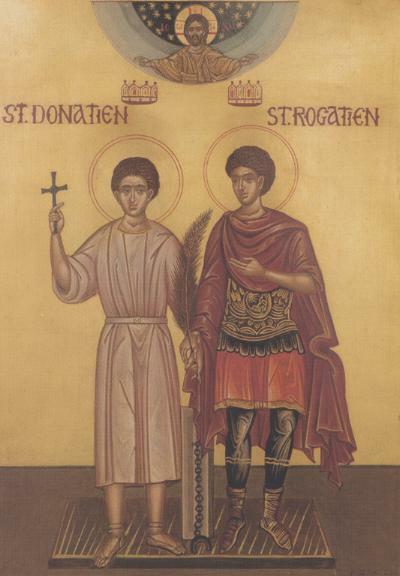 A church in Orleans is also named after Saint Donatian. 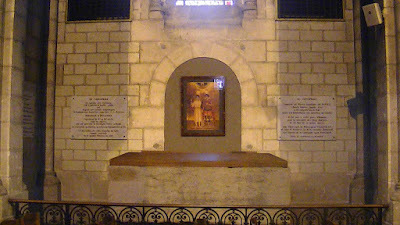 Tomb and Sarcophagus of Sts. Donatian and Rogatian in the Basilica of Sts. 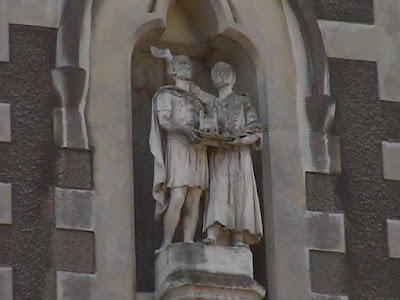 Donatian and Rogatian, Nantes. 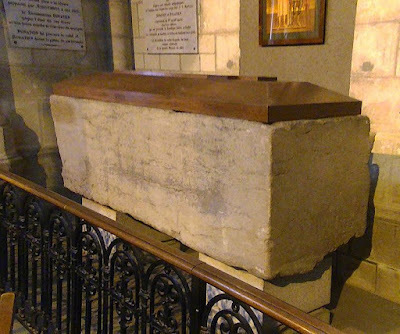 The sarcophagus is empty, as the relics were transferred to Ostia in the twelfth century.